Where did you buy the enclosure from ? 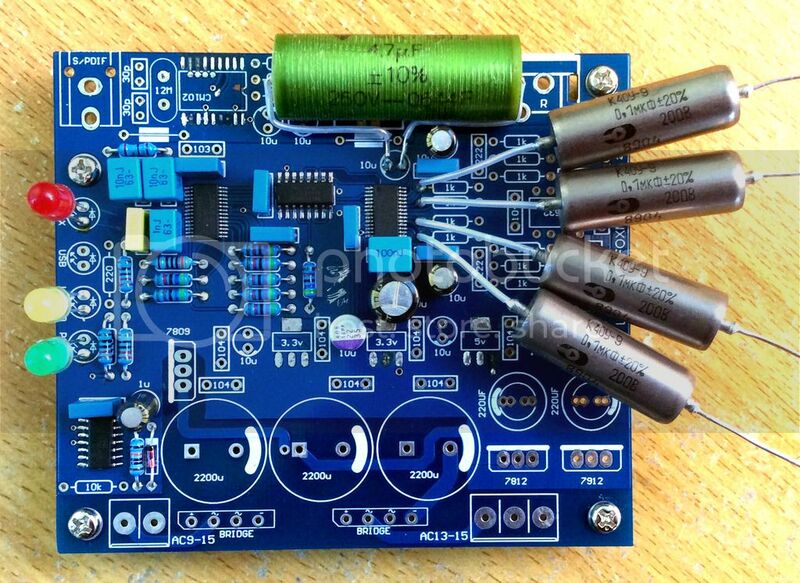 CS8416 +CS4398 + ECC88 or 6N6P Brosky un-balancer + PY82 HV PSU in CLCLCRC, all regulators are LM1085 or LM1086. Since then, I have added an input micro switch at the back so I can switch between SPDIF RCA or Toslink (TORX147). This is my Toslink -> CS8416 -> SRC4192 -> WM8741 -> LL1527XL DAC. 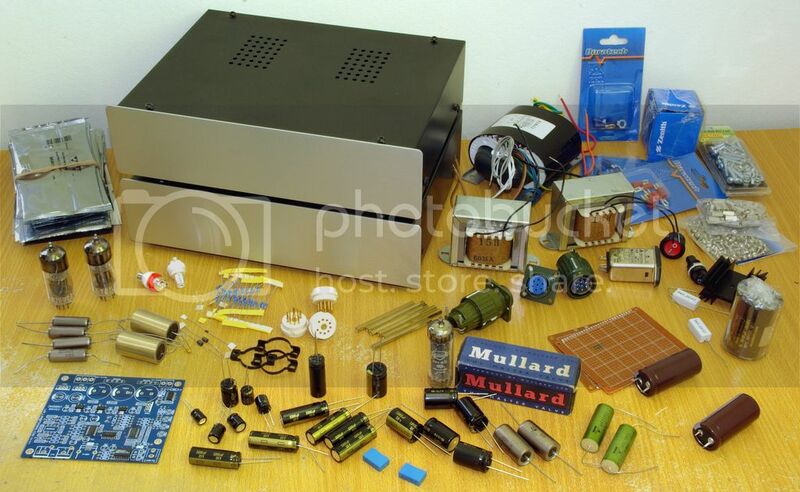 The output from the transformers is fed directly to pair of Holton's HPA-nxV200L R4 amplifiers powered by pair of Audio Power DPS-400/S1 SMPSs. Built in volume control from WM8741 is used via PIC controller. 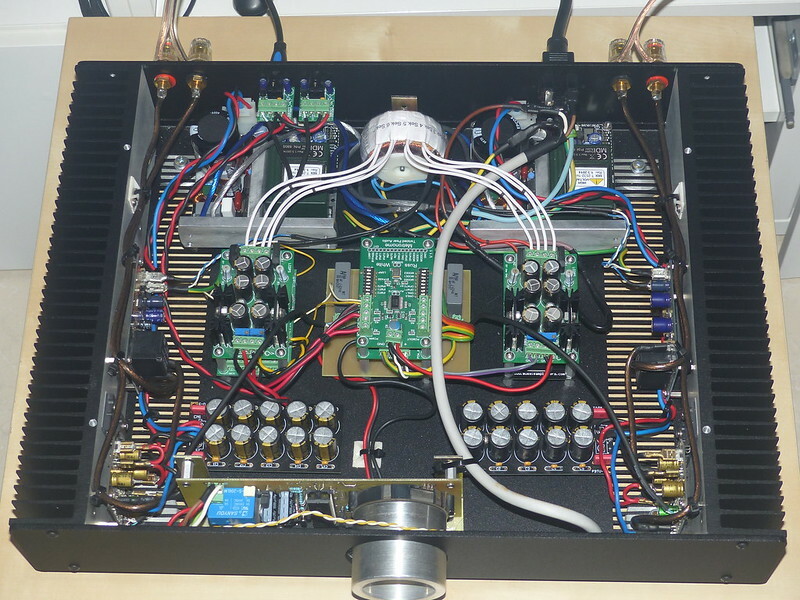 This is the DIYINHK AD1862 DAC kit with PSU boards. The kit is very simple to build. I changed 4 alu elcos to tantal regarding the AD1862 datasheet. The dac is plug and play with my macs, and very comfy. The sound is incredible, really. Thinking myself of getting a similar setup. Do you use it for DSD playback? 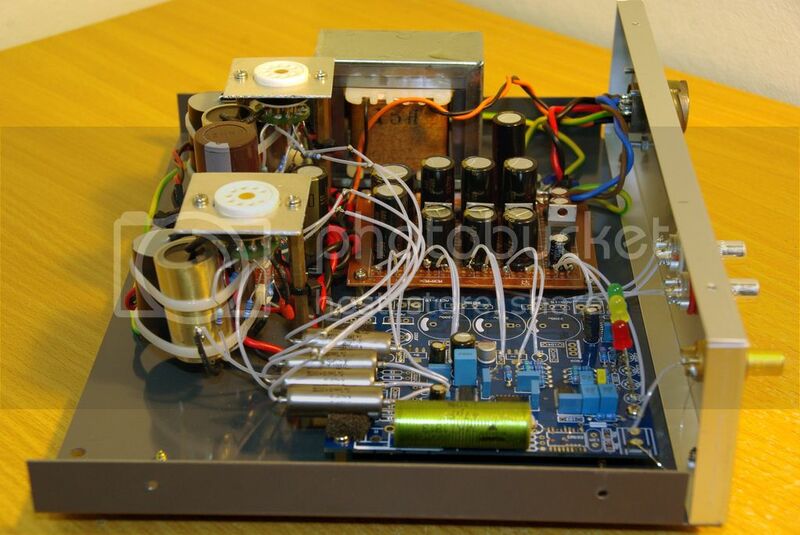 Have you compared it to other DAC'?. I'm currently using a Durio Sound Pro with my Raspberry PI2 and a Toroidal Transformer. Do you think there would be a siginifcant difference between your setup and a RPi-Dac? Just sharing my recent build. I am using a Tekdevices WM8804 input receiver. I used the PCM1704 evaluation board schematic for the DF1704 and PCM1704 sections. I/V is a modified Pedja Rogic Discrete Diamond No Feedback stage. 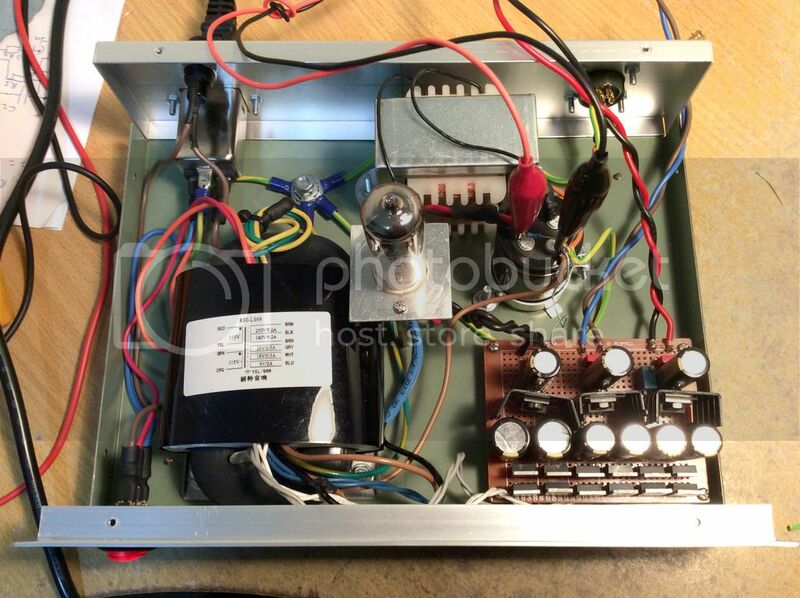 Omitted 2 mA current sources, changed I/V resistor to 2.5K Ohm and 470 pF Polystyrene capacitor. The OPA627 stage runs at a gain of 2 and operates as a voltage buffer for the DDNF I/V. 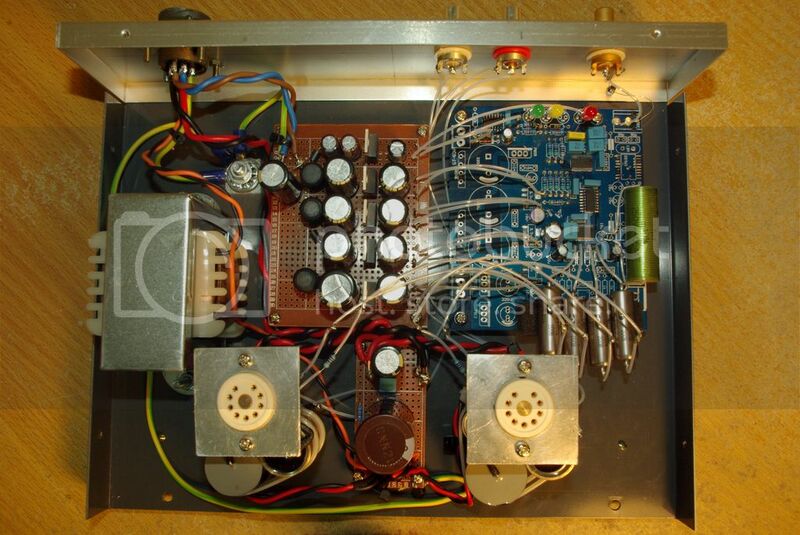 Filter is passive based on Lundahl LL1690 line transformers wired as 2:1 step down. Build is outlined somewhat at the AD844 thread. Faceplate is African Paduk. No attempt was made to make this small! Real nice work there and great choice on cases they remind me of two separate manufacturers over there. Gotta' like the minimal no frills looks outside/ beast inside. my new dac, which is not just a DAC, it includes an RPI. SW is Moode Audio now, but I will try Rune Audio soon too. There are several things to do still, cable tie up etc., unfortunately the toroid has to be replaced too, it is noisy. I mean not in spread flux or electric noise, but without connecting an amp, in a silent room I can hear that. I need to replace and finish.